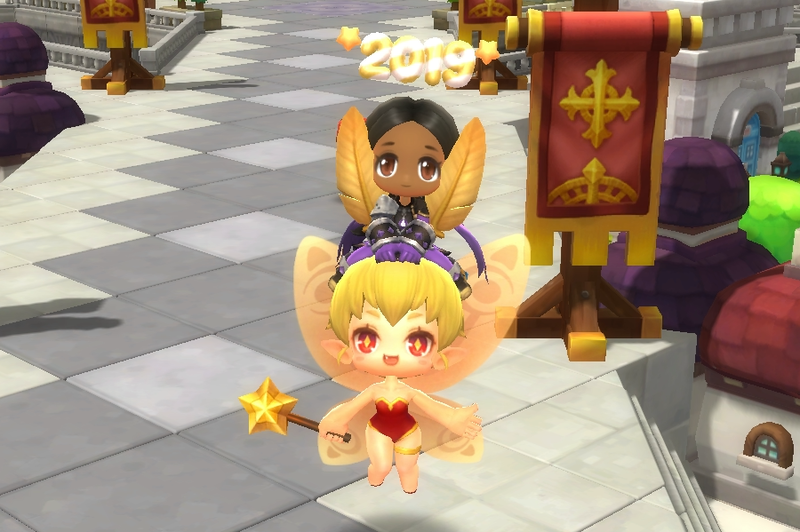 2019 is here, and MapleStory 2 is hitting the ground running with the second part of our Skybound Expansion! Enjoy the new Fortress Rumble solo challenges, band together with your fellow Maplers to take on the new Wrath of Infernog Chaos Raid and more! Infernog, the great immortal monarch, has awoken and has his eyes set on demolishing the fledgling Maple Alliance. This ancient foe cannot be defeated through conventional means, but the brilliant minds on the Sky Fortress have come up with an audacious plan: Send out a band of brave heroes to hold Infernog at bay while the Sky Fortress' main gun charges up to destroy Infernog, or at least blast it into orbit! The brand-new Wrath of Infernog Chaos Raid requires a 9,000 Gear Score and the Trusted reputation with the Maple Alliance to enter. Band together with your most talented allies to take on the brand new Chaos Raid, Wrath of Infernog! It's time for a good-natured rumble! Each of the groups in the Maple Alliance has their own specialities, but to defeat the forces of darkness Maple World's hereos will need to train together, learn together and keep sharp together! Fortress Rumbles are a set of high-level solo challenges, where you'll be facing a set of fights that will test your ability to battle and win without any allies backing you up. Each Rumble requires you to reach the Trusted reputation with that Rumble's faction, and will net you fragments to help you gear up with Extreme, Rage or Panic Legendary gear! Train against one of the Green Hood's captured monsters, as the Alliance's brilliant minds analyze your technique! Reveal your destiny by facing one of the Lumiknights' best in single combat! Get ready for a cage match against the Dark Wind's master of improvised combat! Get up close and personal with one of the Royal Guards' finest commanders! Keep Captain Veliche sharp in a 1-vs-1 duel on the very top of the Sky Fortress; just remember to watch your step! 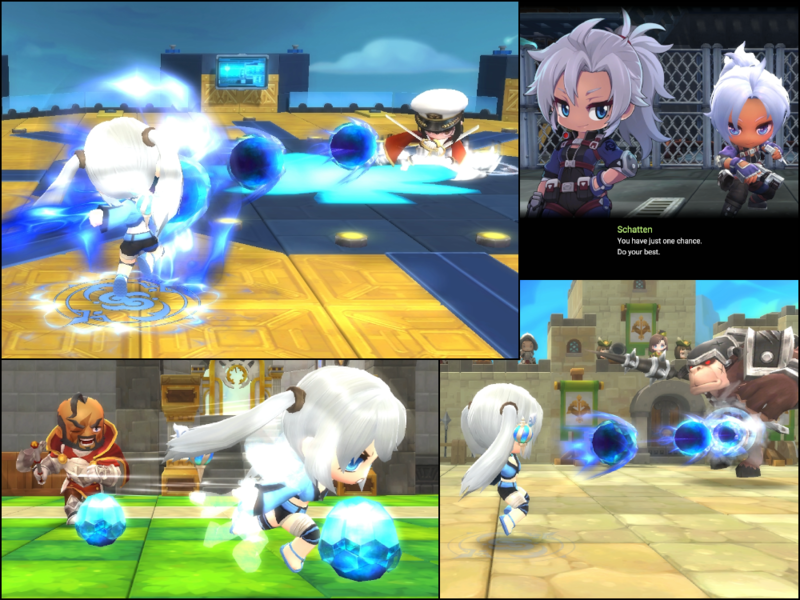 Legendary gear is key to growing more and more powerful in MapleStory 2, and the next step-up is coming with Pluto's Set of Legendary Accessories! When you complete the new Wrath of Infernog Chaos Raid, you'll earn Pluto's Accessory Random Box Fragments, which can be combined into a Pluto's Accessory Random Box that contains a random Pluto's Accessory. 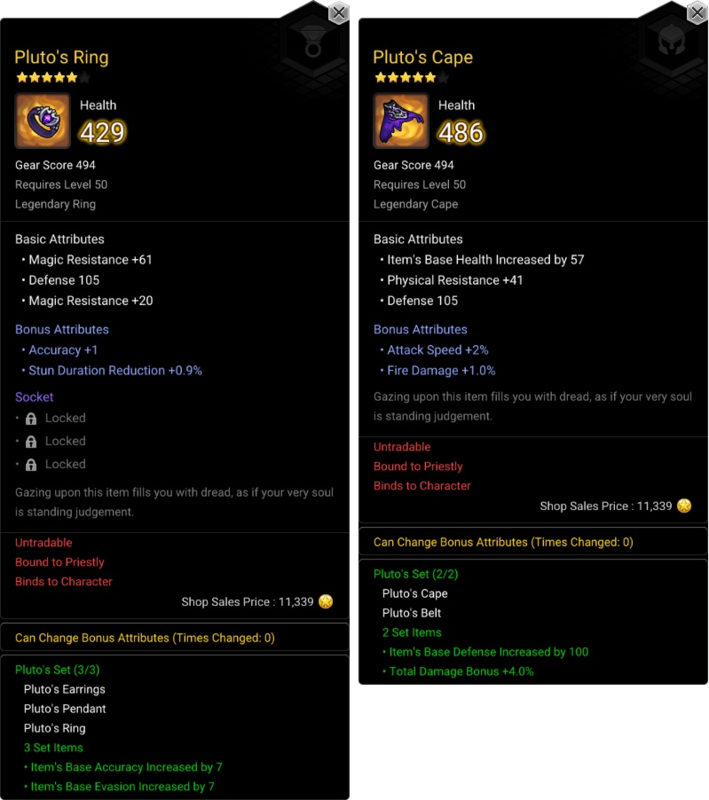 Equipping both the Belt and Cape will boost your Base Defense and Total Damage, while equipping all three pieces of jewelry (Ring, Earrings and Pendant) will increase your Base Accuracy and Evasion, bonuses that will help you in your quest to reach S+ Rank against Infernog! 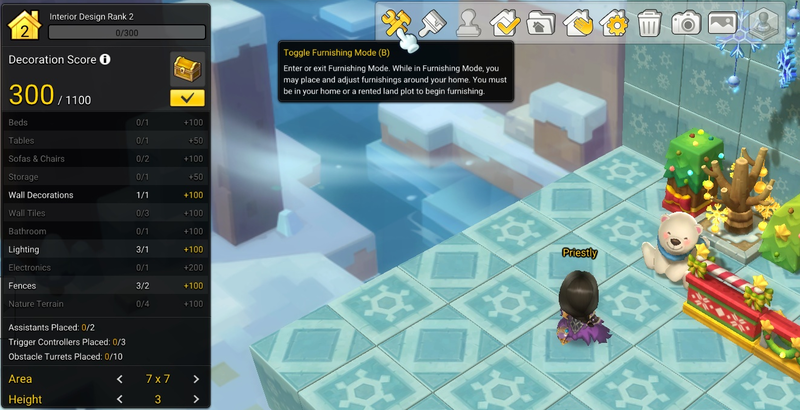 The Housing system in MapleStory 2 has led to some amazing creations, and we're making some improvements to the user interface to make crafting your dream home even smoother, as well as giving you two additional layout save slots! Get in the new year spirit with a special Seek-and-Find event with unique prizes and a deceptively simple challenge: All you've got to do is find another player that matches the Event Guide Ruby's description. Get it right and find enough people to earn a collection of useful items, a unique title and a special Buddy Emote! Learn more in the Hide and Seek Events post! The first sales of the new year are here with Skybound Expansion Phase 2, including plenty of packages, new hairstyles, a new iteration of the Style Crate and much, much more! Learn more in the Skybound Phase 2 Sales post! Epic Quests have been added to continue the story from Phase 1 of the Skybound Expansion. Trophy rewards the “Fortress Rumble Master” title. Players Trusted by the Maple Alliance can also complete the new “Wrath of Infernog” Hard Chaos Raid to get Legendary Accessories. New Epic Quests are available once you complete the “A Dark Alliance” Quest. 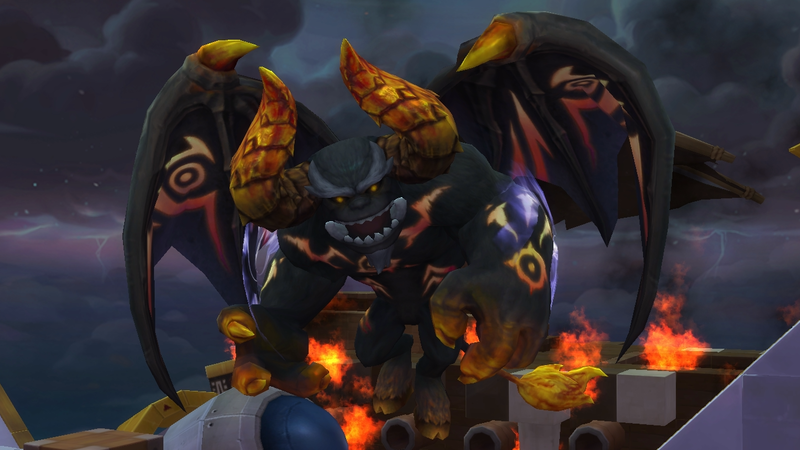 Highest level potions and tonic rewards are rewarded like the original Sky Fortress Epic Quests. 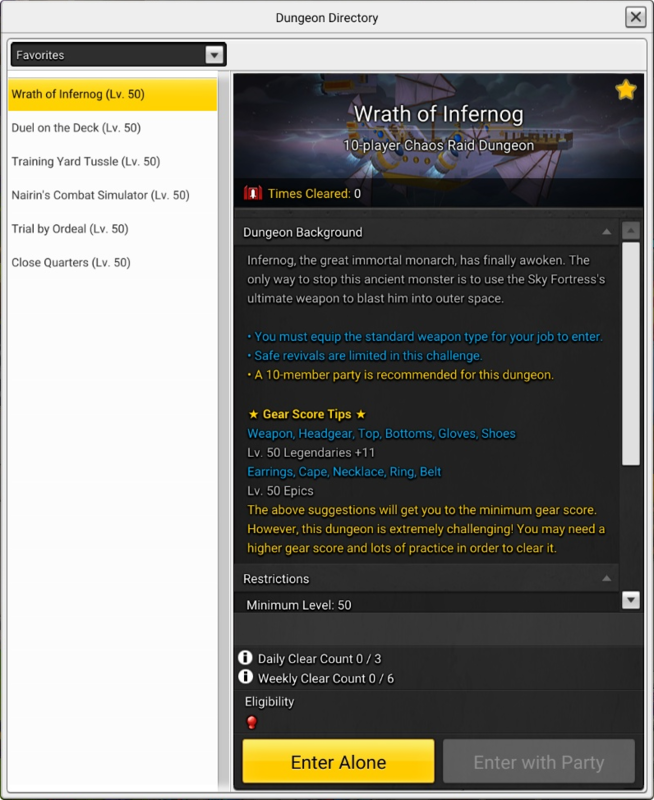 “Wrath of Infernog” is a Hard Chaos Raid where you can obtain Legendary Accessories. Players will need to reach “Trusted by Maple Alliance” (Rank 2) reputation to enter this Chaos Raid. Text buttons are now icons. Top menu now hosts Free Camera/Screenshot functions. Only appears when permission is granted to players. "Favorites" category has been added to the Dungeon Directory as one of the categories. You can click “☆“ on top right side of the Dungeon name in Dungeon Directory to register or remove a Dungeon from your “Favorites” Dungeon list. If no dungeons are selected as “Favorites”: The “Recommended Dungeons” category is automatically displayed like before. Favorites is saved and managed per character by default, but if dungeons with rewards that are counted by account are added to or removed from Favorites, it will be reflected in the Favorites of other characters within the account. Find all of the event information in the Hide and Seek Events post! Seek-and-Find Event: Hunt down other players that match specific traits and get unique items, including a brand new Buddy Emote! 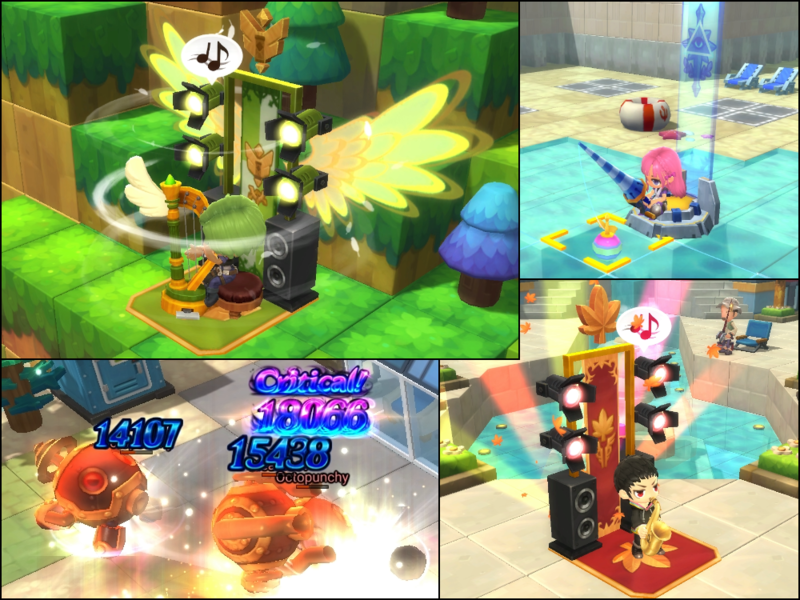 Infernog Expedition: Hop into MapleStory 2, complete some dungeons, gather some materials and claim special event coins to earn new decorations, Infernog and Sky Fortress Chat Bubbles and Name Tags, and more! 2019 Lucky Pouch Event: Complete daily quests for Event Guide Ruby to earn some useful items, a head outfit to ring in the new year and a new ground mount to carry you around in style! 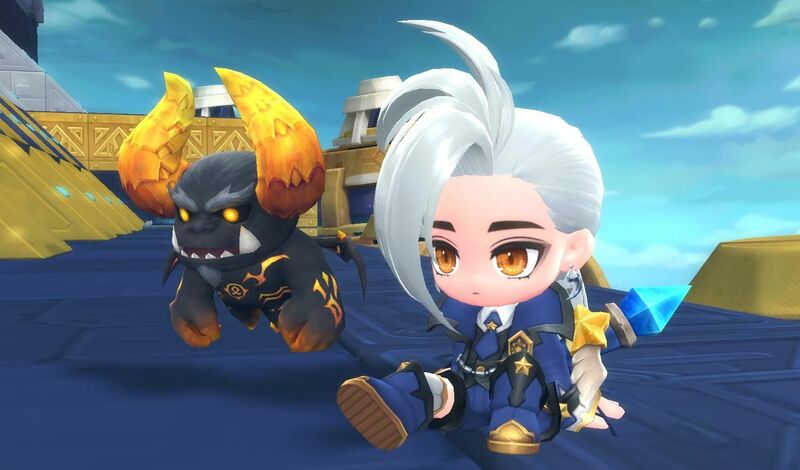 Monday Shop: Join us on the weekends for some MapleStory 2 fun and earn coins you can spend on exclusive items each monday! Double Guild Saturdays: The event continues, giving you double Guild Funds and Experience from Guild Quests on Saturdays throughout January! Get all the details, and a look at the new items, in the Skybound Phase 2 Sales post! January Style Crate: A new month, a new Style Crate! Get Alpine Gear, Black Cat costumes and more with this month’s new additions! Sky Fortress Shore Leave Packs: Five special packages, each one containing a Fishing Pole, Damage Skin and musical instrument themed after your favorite factions! New Year Style Crate Bundle: This set of ten Style Crates comes with a special Piggy Dreams emote! New Weapon UGC Templates: Get customize the Knight’s Falchion Longsword and Round Shield templates, the Archer’s Recurve Bow template and the Thief’s Curved Dagger template! New Hairstyle: A new hairstyle for men and women, the Soul Binder’s favored Braided Highlights hairstyle! Housing Boom Event: Get 90\% off Land Plots and 50\% off all furnishings for the rest of January! Snowflake Furnishing Package: A special package filled with 17 ice-cold decorations! Romantic Ski Resort Furnishing Package: A collection of snowy decorations to help you open up your very on Maple World Ski Resort! New Face Style and Cosmetic: Get fully jaded with the City Boy and Girl face style, and get some winter-y ink with the Snowflake Face Paint! Added Soul Binder and Runeblade to “(Account) Master of All Trades” Trophies. Using the Lv. 50 Level-up Potion will unlock the following trophies for Lv. 1-49 epic quests. Lv.50 Level-up Potion cannot be used during the tutorial. Normal Adventure dungeons between Lv. 1 - 49 will now display the correct dungeon rewards. Faction shop will now open when the Sky Fortress Faction Tokens are double-clicked from your inventory. The Dissolve Armor debuff will now stack up to 9 max in the Hard Adventure dungeon, “Temple of Immortals” to prevent an unintended damage reduction during gameplay. The “Rewards” calendar for login events will no longer appear in the center of your screen after any map changes or end of cutscenes. Kay’s Event Wheel will be restored in Queenstown. Fixed a typo in the description for the Soul Binder skill, Static Flash. Characters that consumed the Lv. 50 Level-up Potion will now have the appropriate Trophies and Dyes unlocked. Glamour Anvil's description has been updated to clearly describe what item type remain will remain unchanged if the Glamour Anvil is used. Updated the text to clarify that only visible items displayed in your Character window will be available to be dyed in the Dye Shop. 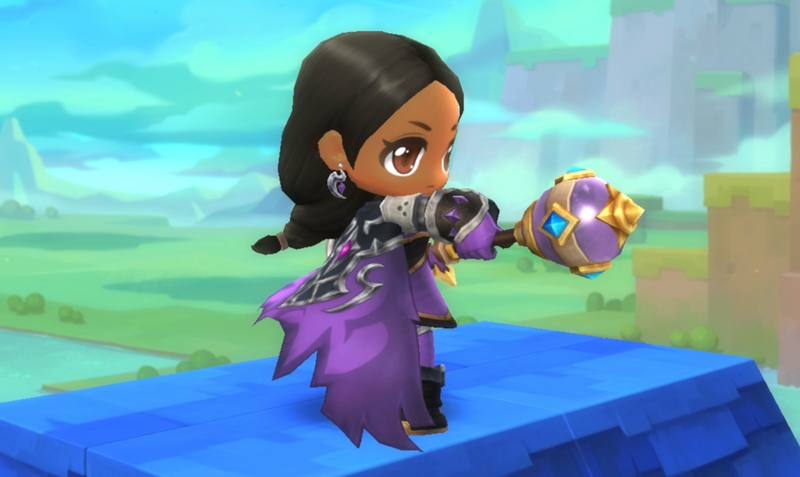 *This means that if you are viewing the Outfit tab, it will only show items from the Outfit tab that can be dyed. The Shopping Cart icon will no longer move when mousing over the Shop button when accessing the Sky Fortress Faction Vendors. Killing Vulcantop now gives credit towards the “Fast and Furious” trophy. The in-game browser for the “News” displayed on the left hand side of the screen will no longer become unresponsive when opening an external link. For Schatten’s daily quest for “[Daily] Recon: The Resistance”, it will now correctly inform you to the right location (from Boulderwhite Mountains to Taliskar). Rook Agents from the Sky Fortress quests will no longer appear in low level maps. The item, Lingering Ghost, will now correctly state the correct duration when using the item (from 15 secs to 5 secs). When attempting to select the type of Gem Dust from Gem Dust Chest and trying to open the Armor Selection Boxes at the same time will no longer cause your Armor Selection Boxes to disappear. Quantities are now shown in the dismantle window for Exquisite Headgear/Gloves/Shoes.